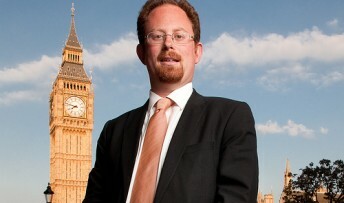 Cambridge MP Julian Huppert has secured a Parliamentary debate in his drive to push science and research up the government’s agenda. Julian’s debate at Westminster Hall on June 4 will focus on a policy paper he has written detailing a package of measures to support pure and applied research and development and the need for more and sustained government funding for science and research. The paper, Developing a Future: Policies for Science and Research deals with three key areas – funding, people and skills and the role of scientific advice – and won unanimous support at a recent Liberal Democrat conference. Julian’s debate builds on recent successes. The government has already announced over £1.5 billion of investment in science and innovation since the Spending Review and ring-fenced the science budget. Under plans to encourage better science teaching in schools, top science graduates are being offered £20,000 scholarships to encourage them to enter the teaching profession. “We have made a good start but we need to do so much more if we are to maintain our position as a global leader in science and research and drive forward that success,” he said. “Science and innovation in the country has been starved of cash for years; yet despite low levels of funding, the UK has outperformed other countries, some of which invest almost twice as much. Government investment in research and development encourages further investment from the private sector. “I want to see a commitment from both the other parties to increase the science and research budget above inflation over the next 15 years, improving our ability to attract the brightest scientists and researchers and giving our young people the skills they need to compete in this fast moving and ever-changing environment. “I’m challenging the way the government thinks about science. I want to see money redirected to where it will benefit our economy, as well as supporting research for its own sake.